As the first week of 2019 is now behind us, I have been thinking about all the coverage, and heat, that plastic has been getting in 2018. “Single-use” has been named the word of the year by Collins dictionary, and the list of articles I want to share with you is endless, from the malfunction of the Great Pacific Garbage Patch cleaning device, through very nifty plastic-free inventions to mind-boggling statistics – 90.5% of plastic is not recycled. However, in this post, I want to focus on a waste management solution almost as old as commerce itself – the Deposit Scheme. It’s easy to imagine that good quality, handmade containers were not in abundance since the ancient times. Our ancestors were simply forced to bring their own to fill at the shop, or trade for already full ones. But, the first documented deposit scheme, in the form we know today, started in 1799 by A. & R. Thwaites & Co. Since then many countries have passed or tried passing deposit legislation, and some more successfully than others. Scandinavian countries are currently leading in the Pant (deposit) scheme legislation, which I had the pleasure of using in Denmark. In Australia, the Container Deposit Scheme varies from state to state, with some jurisdictions dragging their heels in extending the legislation. I grew up in Warsaw (Poland), where commercial collection points of returnable bottles are a common sight. During the communist years, everything was under some degree of shortage, which actually meant that deposit schemes thrived. Nowadays though these have significantly receded, mostly due to the lack of legislation. However, despite the scepticism and doubts some customers have, I am very excited that commercial enterprises (such as TerraCycle) are taking it upon themselves to make a difference, and with great benefits to consumers. Over £30k worth of benefits in the case of Iceland, a supermarket chain in the UK, which has trialled a plastic bottle deposit scheme. 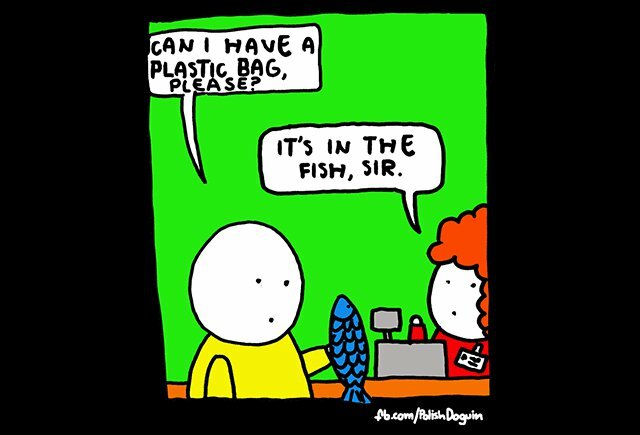 While Europe and Australia are slowly getting the right tools in place, the rest of the world has many, less attractive and less sustainable, ways of dealing with the deluge of plastic. Wealthy Asian countries, including China, Singapore and India use cheap labour or rely on landfill scavengers to deal with the recycling issue. Others, especially in the Third World and developing countries, and those riddled with conflict, are literally drowning in rubbish: Liberia, Indonesia, Congo, Lebanon to name a few. Finally, some of the US have succeeded in passing the ‘Bottle Bill’, and you can find the map here, but the road ahead is long and still strewn with single-use plastic. You are most likely reading this because you have realised that something in your life needs simplifying. I have deliberately linked all the articles which inspired me to write this blog so that you can make up your own mind about whether recycling and especially single-use plastic, is an issue you care about. Here’s a list of 10 fixes to the plastic overload problem, some which I have already adopted but some I will be testing this year (hello safety razor!). What will you change in 2019? Start right now, and never look back.